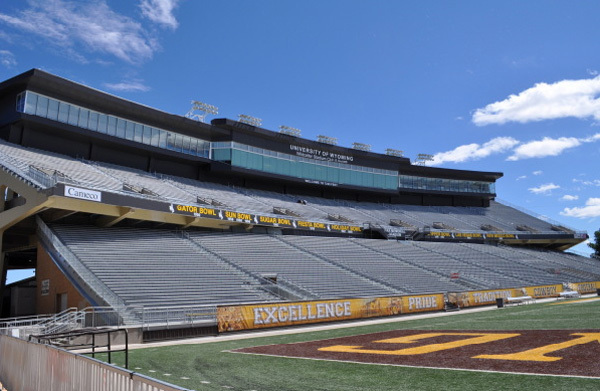 The Wildcatter Club and Suites, atop the existing east side stands of the University of Wyoming Stadium, was designed by Ben Stindt of Populous (formerly HOK + Sport) in collaboration with Malone Belton Abel. 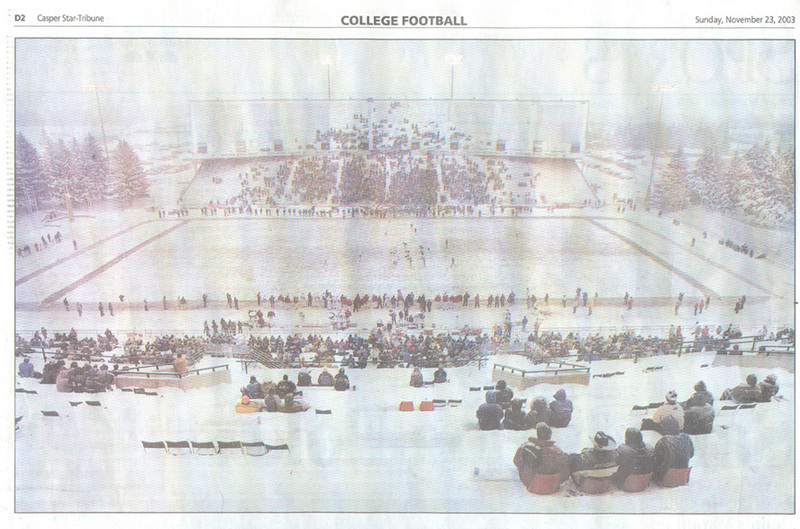 The project also involved Malone Belton Abel’s renovation and ADA improvements of the lower stands and upper seating bowl on the east side. 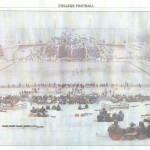 The $22.4 million project was completed in time for the 2010 football season. 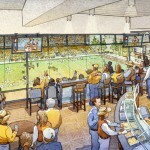 There are 250 club seats and twelve suites each with a kitchenette, comfortable chairs and tables, television, and three tiers of excellent seating overlooking the field. 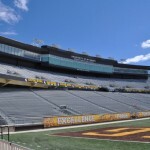 Two suites accommodate 30 guests and ten suites accommodate 16 guests. 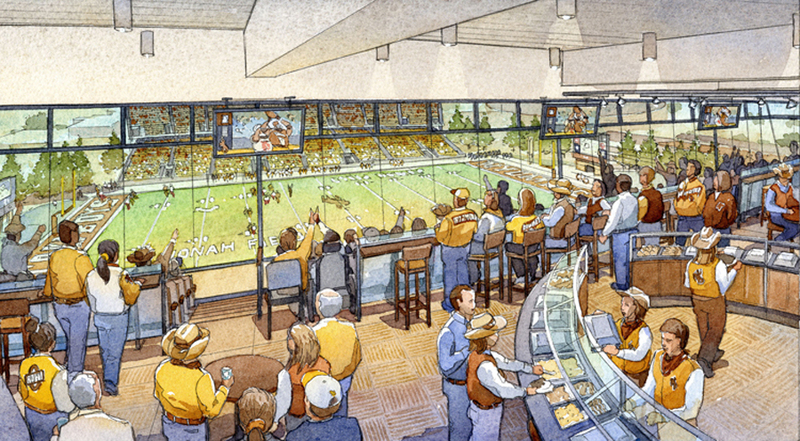 Much more than just a luxurious vantage point for viewing the stadium sporting events, the Wildcatter Club is in constant demand as a venue for important University events and commemorations. The Club is also available to rent for business functions and even wedding receptions. There is a full-service bar, coat room, restrooms, and serving facilities for 200-300 person catered meal. 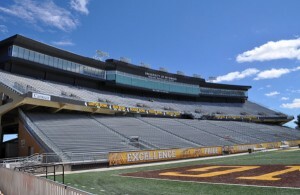 The area, high above the football field, is reached by two elevators.